Online bookings are not currently available for this event. Admission, if applicable, is payable at the front desk. Ask children where food comes from, and they’ll probably answer, “the supermarket.” Ask most adults, and their replies may not be much different. We know remarkably little about what we eat. Where our foods are raised and what happens to them between farm and supermarket shelf have become mysteries. How did we become so disconnected from the sources of our beef, cheeses, cereal, lettuce, and countless other foods that nourish us every day? Ann Vileisis’s answer is a sensory-rich journey through the history of making dinner. 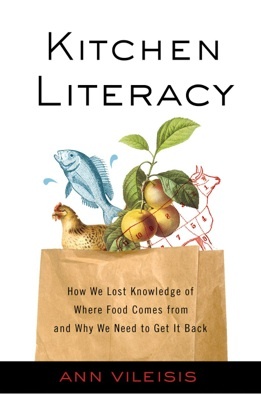 From eighteenth-century gardens and historic cookbooks to calculated advertising campaigns and sleek supermarket aisles, Kitchen Literacy chronicles profound changes in how Americans have shopped, cooked, and thought about their foods through two centuries. 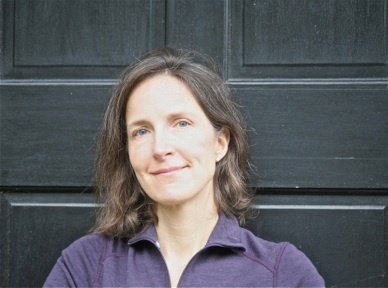 Ann became interested in history and environmental issues as an undergraduate at Yale University where she earned her B.A. She also has a Master’s Degree in history from Utah State University. Ann is married to author and photographer Tim Palmer. Together they lived for more than a decade as nomads, traveling in a Ford van as they did their research and writing. In 2003, they moved to a small town on the Pacific coast. Book sales and signing will be done afterwards. To find out more about Ann Vileisis and her books, click here. First Tuesday Talks are sponsored by Al Peirce Company with additional support from The Mill Casino.